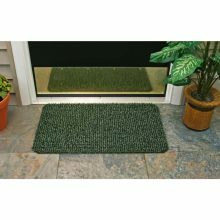 This 17.5″ x 29.5″ Flair Door Mat is exclusively made with Genuine AstroTurf scraper blades which have been keeping homes clean for almost 50 years. 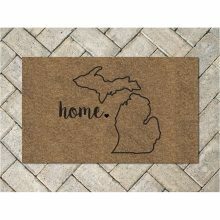 The hardest working door mat on the continent, this uniquely designed mat surface began with a scientific breakthrough mimicking the natural cleaning power of grass. 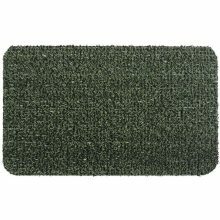 This genuine AstroTurf scraper door mat is made from flexible, yet durable polyethylene. The patented manufacturing process creates a grid pattern of thousands of small plastic blades providing you with an unparalleled cleaning surface that scrapes shoes clean, holds and hides about 2 lbs. of dirt per week. 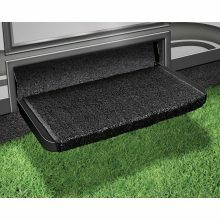 Using this AstroTurf door mat also helps create a cleaner and healthier environment. 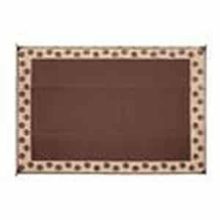 Reversible 8' x 16' mat. 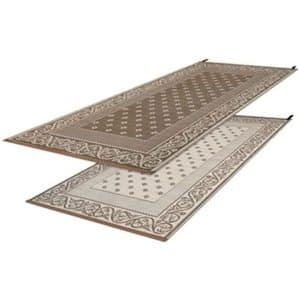 Reversible 9′ x 12′ mat. CLOSE OUT SPECIAL! LIMITED SUPPLIES! ONLY AVAILABLE WHILE SUPPLIES LAST! 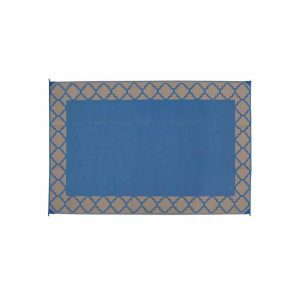 This 6′ x 9′ indoor/outdoor area rug makes it easy to use anywhere with hassle-free care. 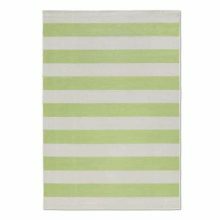 This stain and fade resistant rug features a brilliant striped pattern that will be a splendid accent to your decor. Stain and fade resistant. Primary materials: 100-percent polypropylene. 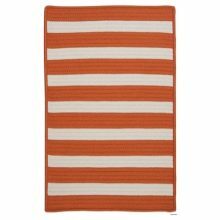 Pattern: Stripe. 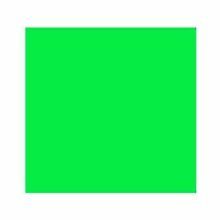 Colors: Green/Tan, Melon/Tan, Dark Green/Tan (color shades vary with texture of mat). 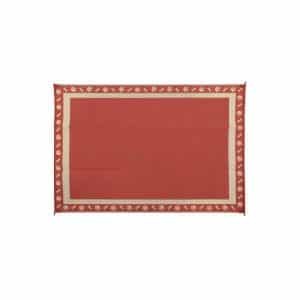 Heavy weight 6′ x 9′ mat with tight weaving & reinforced stitching for long lasting durability. UV coated polypropylene material for weather and fade resistance. 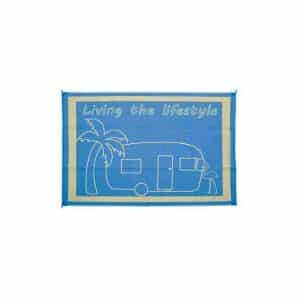 Heavy weight 9′ x 12′ mat with tight weaving & reinforced stitching for long lasting durability. 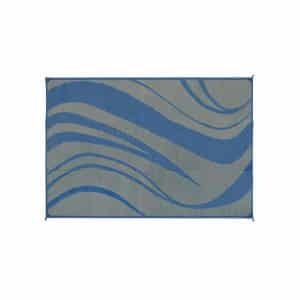 Heavy weight 6' x 9' mat with tight weaving & reinforced stitching for long lasting durability. 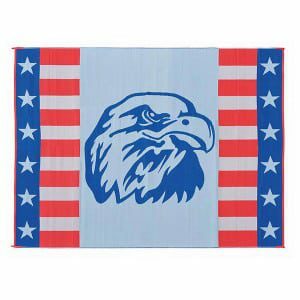 9’x12’ Patio mat. Mold and mildew resistant. Lightweight and reversible. Easy to clean and fold. For indoor or outdoor use. UV protection against sun exposure. 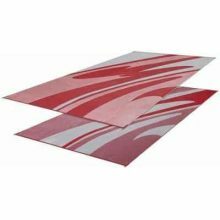 Power Advantage Anti Fatigue Mats are made from the high quality materials, this design is an extremely flexible flooring solution. 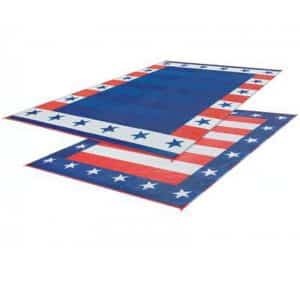 These foam mats are extremely durable and can be installed in a variety of locations. Utility – laundry room, mud room for comfort and safety. Fitness – perfect for general exercise and intense training. 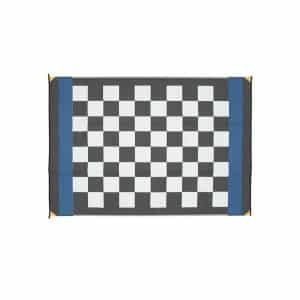 Garage/commercial – anti-fatigue mat for work spaces. Play – safety and comfort for basement and play areas for home, church and school. While supplies last! 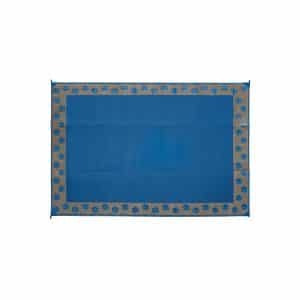 Available in Blue or Green mats sized 46″ x 93″. 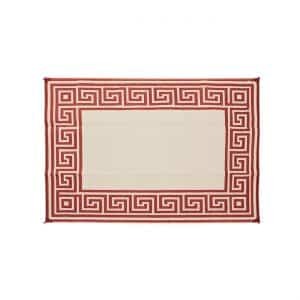 Reversible floor/ground mat made from easy to clean polypropylene. Mold and mildew resistant. Light weight and easy to roll or fold for easy storage. Reinforced woven edges and stake loops to secure to ground. 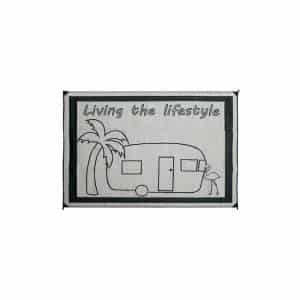 For use in your tent, at camp, on the beach or hang from your canopy to block sun. 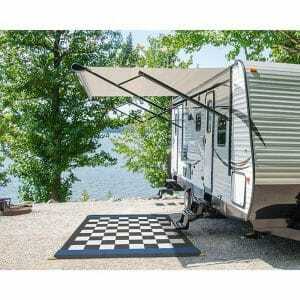 Wraparound+Plus RV Step Rugs from Prest-O-Fit protect your interior while accenting your exterior. Each durable, weather-resistant rug is made of easy-to-clean outdoor turf with marine backing. Finished on all edges to prevent fraying. 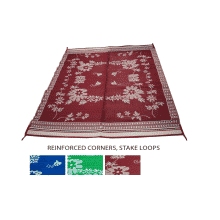 These rugs are very easy to install, fitting most manual and electric steps with the springs that are included. They can easily be removed and reattached as needed. 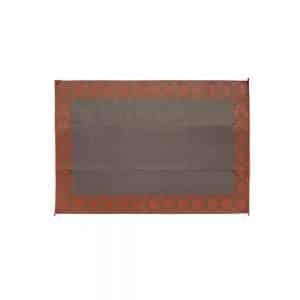 Available colors include Black, Brown, Burgundy Wine, and Stone Gray. Size: 20″ wide and 8″-11″ deep. Durable, weather-resistant construction. 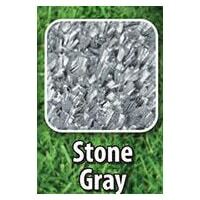 Easy-to-clean outdoor turf material. Finished on all edges for smooth appearance. 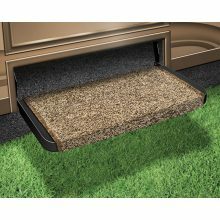 Specifically designed to fit curved RV steps, this rug protects the interior of your RV while accenting your exterior. 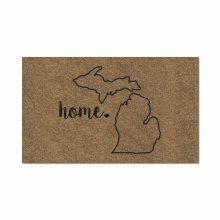 The rug is made of durable, weather-resistant outdoor turf that is easy to clean and features marine backing. 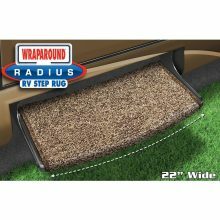 Easy to install, the rug fits radius steps with included springs. All the edges of the Wraparound Radius RV Step Rug are finished for a smooth, quality appearance. Available in Black, Brown or Stone Gray.